The exhibition recognises the achievements of pioneering women in their chosen fields. 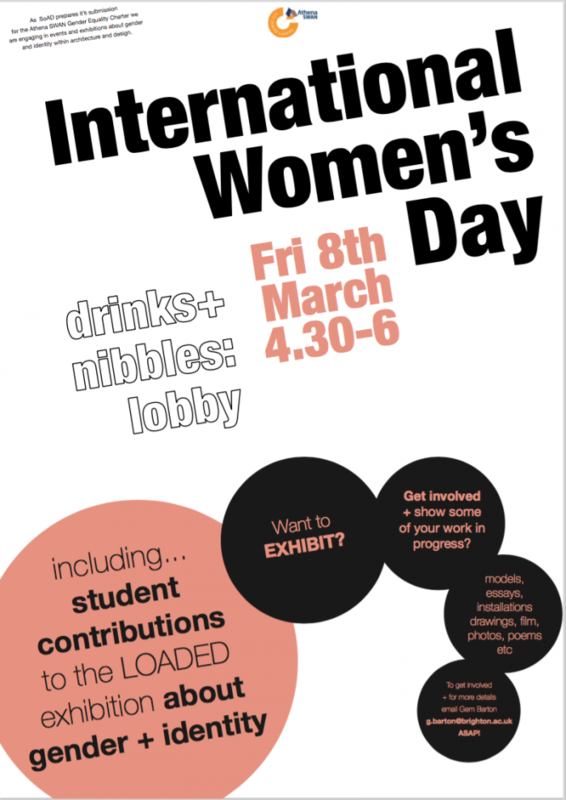 This isn’t the only gender-focused exhibition in SoAD at the moment as students also have the opportunity to exhibit their own work as part of the LOADED exhibition currently on display which focuses on the dialogue around gender and identity within architecture and design. This entry was posted in Architecture and planning, Product design and tagged International Women's Day, School of Architecture and Design.